Sixteen South and Cloudco Entertainment, the team behind the popular Care Bears IP, have just secured a raft of global sales for it pre-school series Claude. 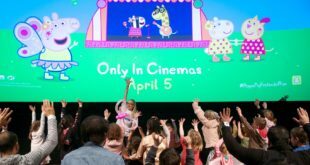 The series is set to launch in the UK on the new pre-school block on the free-to-air channel ITVBe in the third quarter of 2019. Additional sales have seen the series sold to YLE in Finland, YoYo in Taiwan, CJ E&M Media corporation for GEM in South Korea, TVB in Hong Kong, Cineplex Company for True Vision in Thailand and licensed to UYoung for distribution in China. 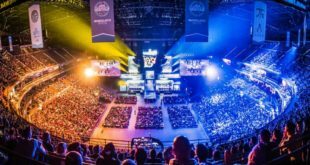 The sales follow strong early ratings success for the show on Disney Junior with Disney Junior Australia naming Claude as its number one kids’ show. Disney Junior is currently broadcasting the series in all countries across EMEA and Australia. Karen Vermeulen, head of global distribution and co-production at Cloudco Entertainment, added: “Claude is such a charming and iconic character. 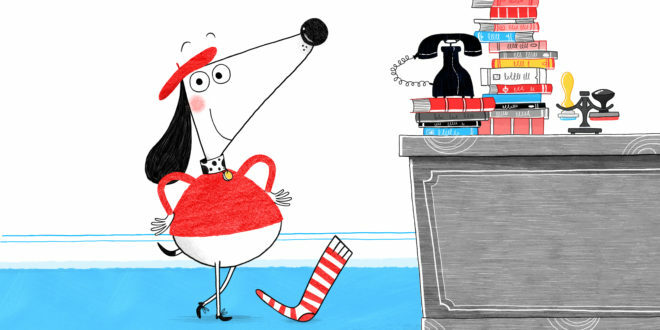 Based on the book series by Alex T Smith, Claude follows the adventures of the beret-wearing dog Claude and his sidekick Sir Bobblysock in the seaside resort of Pawhaven.